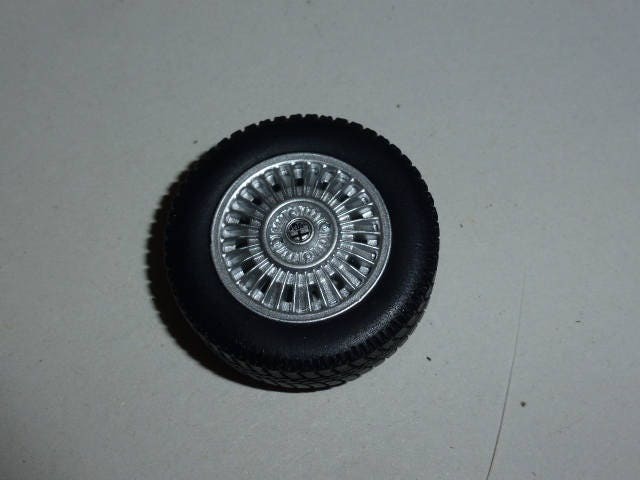 Set of very useful "Millerighe" Alfa Romeo wheels arrangement, ideal for Alfa Romeo cars of the 70s/80s. 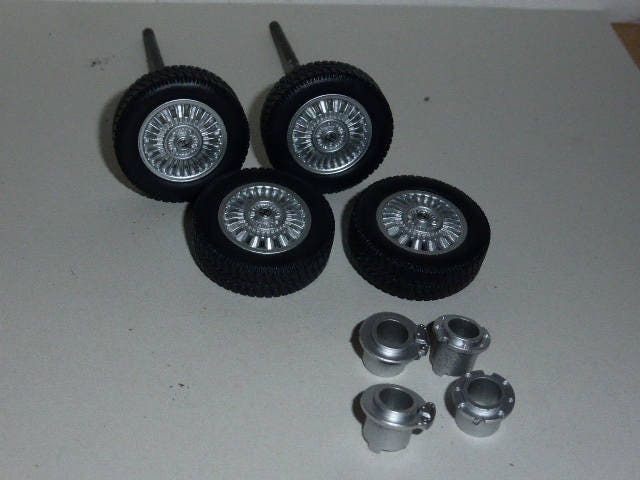 You will also get a set of 4 brake discs with calliper and two metal axles. This is Laudoracing production, the rims are plastic with Alfa Romeo central emblem, threaded tires and so on. Top quality.